The Australian ethos is built upon “a fair go for all”. It’s an ideal that captures a range of emotive applications and while being largely aspirational, it’s a virtue that resonates across the community and keeps policy makers and the population at large generally in check. At its core is to ensure that social norms are maintained through economic growth and development. Sadly, the same ethos is often found lacking in other countries, where a lack of regulation, corruption and gross inequality can lead to the exploitation of people, often for the benefit of large corporations including those in Australia. The potential financial costs associated with lapse controls and policies in supply chain management can prove fatal for businesses that fail to manage these risks. Corporate supply chains are bigger and more complex than ever before. Wesfarmers recently reported it has relationships with over 15,000 suppliers in more than 20 countries.1 Consumer pressure for eco-friendly goods and services supports the notion that sustainable supply chains can be profitable supply chains. In other words, incorporating environmental, social and governance (ESG) factors (such as human rights) into the company’s sourcing and purchasing practices is now being viewed as good business practice.2 What that also means though is that if a supply chain activity results in the violation of an environmental, labour or human rights standard or regulation there can be material negative financial and reputational outcomes. It can be difficult to identify human rights risks given the complex nature of supply chains across many companies. However, changes in regulatory disclosure requirements is prompting us as an industry to revisit human rights issues, including what is termed ‘modern slavery’. It is tempting to believe that modern slavery only exists abroad, but in fact it is closer to home than many of us realise. Below are some key points to bring readers up to date on this important issue. Unfortunately, cases of modern slavery have been identified on our soil as well as through indirect forms, where Australian companies with offshore operations or sub-contracting arrangements have been linked to cases of modern slavery. The Walk Free Foundation survey suggests an estimated 4,300 victims of modern slavery exist within our borders. Individual cases have been cited with exploitation of workers – often migrants – being employed ‘off the books’ in labour intensive work. The use of modern slavery tends to be concentrated in food and agriculture production, textiles, retail and technology industries. These industries often feature the use of complex and constantly evolving global supply chains, making it difficult to monitor and manage, even for the companies involved. However, no industry is immune and companies can ill afford to be complacent. Historically, the absence of company data and regulation has meant it was difficult to assess the risk of exposure to modern slavery in corporate operations and across supply chains. However, a series of multi-stakeholder initiatives, legislation and engagement activity globally, including Australia, are changing the investment landscape. Legislation to address the issue of human rights violations and poor labour practices is now either in existence or in the process of being enacted in Canada, the US, the UK, France, The Netherlands and Switzerland. The UK is the most recent market to pass legislation through its UK Modern Slavery Act (2015). Enactment of the legislation has not only made a significant impact in promoting compliance but importantly, has put the issue of transparency on corporate agendas. Public entities in the UK are now required to report on measures taken to address modern slavery in their business and supply chain. Australian companies which operate in the UK such as BHP Billiton, Lend Lease, Qantas and Wesfarmers already report on their anti-slavery efforts under this regime, so a degree of harmonisation with Australian initiatives already exists. Globally, some of the largest retailers and manufacturers are starting to audit their lengthy supply chains in response to growing scrutiny. For example, Woolworths, Wesfarmers and other retail operators in Australia established the Retail and Supplier Roundtable Sustainability Council to take action against abuses occurring within their supply chains. Early evidence suggests the introduction of legislation on human rights due diligence in the UK and US is working to improve the quality of related corporate disclosure practices. This in turn helps investors make better informed investment decisions and also supports stakeholder engagement with companies to mitigate residual risks. Many in the local investment community were encouraged by the announcement earlier this year by the Australian Federal Government that it had commissioned a Senate Inquiry into the establishment of our own Modern Slavery Act. To date, over 180 submissions have been made to the inquiry, including from large Australian companies such as Wesfarmers, Woodside Energy, Rio Tinto, Woolworths, Qantas, Fortescue Metals Group and BHP Billiton. As an investment manager, we believe failure to consider ESG factors in a company’s operations or supply chain can present potential financial impacts through reputation damage, litigation and operational risks which may ultimately harm a company’s social license to operate – all of which can be costly and time consuming to restore. Of course, the cost to society and the economy more broadly can also be significant and severe. An Australian Modern Slavery Act would assist companies with reporting and in turn, allow investors to more accurately assess and price risks to make more informed investment decisions about companies engaged in offshore sourcing. Consumer preferences for eco-friendly goods and services mean the link between a company’s sustainability performance and consumer loyalty is growing.4 As an industry we need to be alert to the fact that modern slavery is a very real and often a hidden risk in a company’s operations and supply chain. Furthermore, we also need to focus on the fact that modern slavery is not just a human rights issue; it is also a financial issue with potential material implications for investment portfolios. Violate human rights regulation and you pay twice: the fine for the breach and the damage to your brand with a related drop in sales and possible funding. Encouragingly, stakeholders (customers, shareholders and government bodies) are now actively engaging with businesses to take action to address their exposure to human rights issues such as modern slavery. Companies that establish a whistle-blower policy, consolidate supplier arrangements and build loyalty through greater transparency will be recognised as industry leaders. The rise of investor awareness of ESG issues in the past few years, combined with changes in the regulatory landscape and shareholder tolerance towards human rights violations has brought the practice of what is termed modern slavery to the fore. Meaningful disclosure of supply chain management and related steps to mitigate modern slavery risks when integrated alongside traditional financial drivers can contribute to a company’s competitive advantage and strengthen its long-term financial stability. Multi-stakeholder initiatives, regulation and engagement activity are all working to support the business case for integrating social issues such as modern slavery risks into the investment decision making process. Investor and consumer voices are becoming louder and ignorance is no longer an option. 1. “Submission from Wesfarmers to Senate Inquiry into Modern Slavery to AMS submission” 2017. 2. 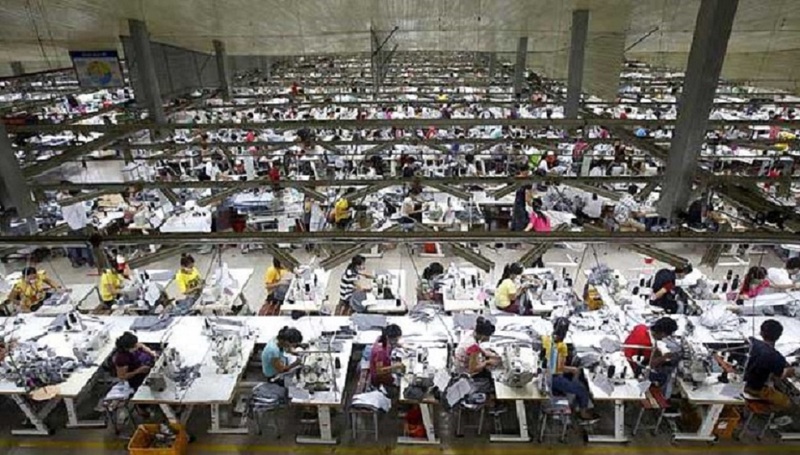 Economist Intelligence Unit (EIU) 2015 global survey of 853 senior corporate executives found 62% of respondents think that ”avoiding repeats of the Rana Plaza factory disaster in Bangladesh is primarily the responsibility of multi-nationals that purchase products from these factories not the Bangladesh Government”. 3. Walk Free Foundation, “Global Slavery Index 2016”. 4. Studies like the Nielsen Global Survey on Corporate Sustainability (2015) which covered 30,000 consumers across 60 countries found that 73% of millennials are willing to pay more for sustainable brands, compared with 50% in 2014.